The ALMR has welcomed support outlined in today’s Budget Statement on alcohol duty and business rates and urged the Government to follow this good work with continued reform of business rates to help support the UK’s valuable eating and drinking out sector. ALMR Chief Executive Kate Nicholls said: “At a time of rising costs, a freeze in the beer duty and a continuation of support for pubs on business rates is very welcome. “The ALMR has been pushing for a duty freeze across all alcohol types, and this positive action will help tackle rising costs, saving the sector around £116 million, as well as underpinning consumer confidence. “An extension of the pub-specific rates relief will save the sector almost £20 million, and bringing forward the move from RPI to CPI to calculate bills, something the ALMR has pushed for, will save close to £100 million over four years. “The promise of more frequent revaluations is also welcome and something the ALMR has lobbied for, although we are concerned that, in practice, there may be some administrative burdens which will need to be addressed. “It is also good to see the Government accepting the recommendations of the Low Pay Commission on the rate of the National Living Wage, de-politicising the decision. Although this may present a modest financial burden for employers it will also put money in the pockets of our customers. “The next step is for the Government to push ahead with its promised package of root and branch reform for business rates, and the ALMR is looking forward to working closely with the Government to deliver change. The British Institute of Innkeeping has jointly welcomed further support for pubs on business rates. BII Chief Executive Mike Clist added: “We welcome the fact that Government has listened to the call to help pubs in what is a very competitive marketplace. “Moving the annual inflation of rateable values from RPI to CPI, continuing the £1,000 rate relief policy for a further year and moving the revaluation of properties to 3 yearly will all help. We do however still believe the rating system needs a complete overhaul and we will continue to lobby for this. “The Chancellor’s decision to freeze beer duty and cancel his planned rise is an early Christmas present for beer drinkers and pubgoers worth £117 million this year and in subsequent years. It will secure over 3,000 jobs in pubs and the wider beer supply chain that would otherwise have been lost. This real-terms duty cut shows he has listened to our campaign and the concerns of pubs and pubgoers, and acknowledged the special role that beer and pubs play in the nation’s social life. 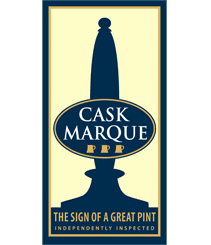 “With over 80 per cent of the beer drunk in the UK brewed in the UK, he has understood the important capital investment made in the UK by our members. This is absolutely the right step towards a fairer deal for Britain’s beer drinkers and pubgoers and a vote of confidence in a very British manufacturing industry worth £23 billion to the UK economy. Beer drinkers will raise a glass to the Chancellor tonight! “This extension of the pub-specific rate relief is also very welcome and continues to recognise the disproportionate rates burden faced by pubs. Moving from RPI increases to CPI two years earlier than planned from April 2018 is really welcome as is in the announcement on three yearly revaluations. It shows the Government is listening to our concerns and this will save pubs £37 million this year alone.